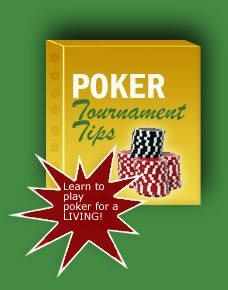 Have you noticed that more and more inexperienced players are starting to try their hand at online Texas Hold’em? Have you noticed that many of these rookie players will start with their all-in nonsense, and when they show at the end of the pot, they show a three of clubs and seven of hearts? With so many online UK poker rooms out on the market today, there really isn’t any good reason, not to play your best game of poker every time you log on. However, you will see some players come into the game with all of the patience of a six year old. They will jump all-in until somebody gets fed up, calls, and off they go to another table to repeat the sequence. While the tips below won’t help you develop patience it will give you a large advantage over them. NEVER play more than one game at a time. How do you think you can jump from one game to the next and still have the ability to study your opponents’ every move? LEARN how seat position can play an important role in how you bet and when. STUDY THE FLOP and make an informed decision before you bet. Ask yourself what the best possible hand is and consider whether or not your opponent has it! SELDOM raise before the flop. ALWAYS try to prevent your opponents from reading you. If you get into too many habits, you will be an easy read. Finally, make your time at the tables count. Learn from the good players and the bad ones and improve your game every time you play.